Join the department of Visual Arts and Shirley Hardman, Senior Advisor, UFV Indigenous Affairs, for the opening ceremony of the Witness Blanket art exhibition at the University of the Fraser Valley. The ceremony will include special recognition of a UFV employee who attended a residential school in the 1960s, as well as speakers Grand Chief Clarence “Kat” Pennier and his wife, educator Nancy Pennier. Admission is free and the public is welcome. Evered Hall, UFV Student Union Building, Abbotsford campus. 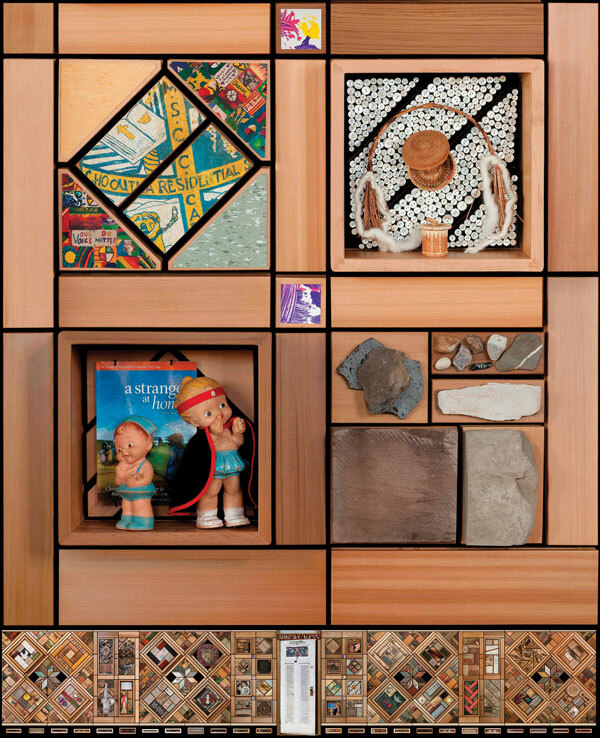 The Witness Blanket, by Carey Newman (Ha-yalth-kingeme), is a large-scale art installation that weaves together hundreds of objects reclaimed from Indian Residential Schools and other important sites in Canada—to recognize the atrocities of the Indian Residential School era, honour the children, and symbolize ongoing reconciliation. The artwork will be on display from Sept 13–Nov 8, 2017.